First thing you have to remember is that what your child eats at school is the major source of essential vitamins and minerals needed for developments over the years. 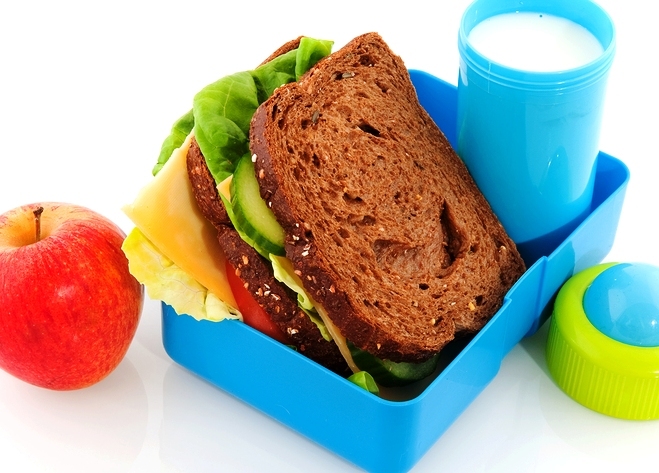 The food you pack will give your child the energy and nutrients needed to effectively learn and plan at school. Without sufficient energy, your child may become tired too quickly and find it difficult to concentrate. And just like in an adult situation – if you get hungry you may reach for an unhealthy junk food and so can your child. In getting ready to plan your child’s school lunch, think about food groups and aim to have at least three or four food groups included. It doesn’t have to be a sandwich – you can get more creative than that! You can use pita, flatbreads, tortilla or even cereal instead of plain bread – it will make the lunch more interesting. From planning to packing, it is a good idea to get not only your child, but also your family members get involved. If you do that, your child will more likely eat everything that is in the lunch bag – simply because they feel they chose it. You can have older children help making sandwiches, pita wraps and vegetables and have the younger child do the packing. Take your child grocery shopping and let him or her choose some of the foods – like vegetables, breads, fruits, yogurts, keeping an watchful eye on them making healthy choices.